Let me start by saying that I have never camped for more than four nights straight. 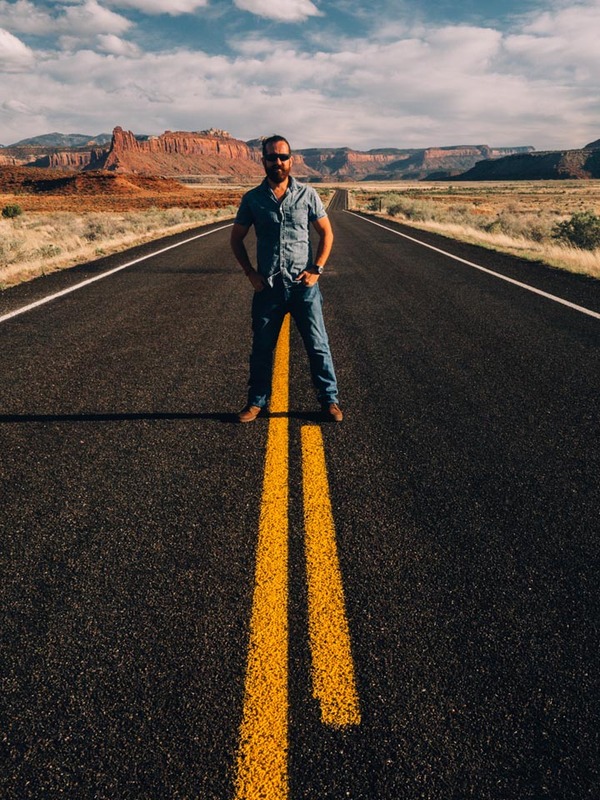 Although an avid hiker with a number of backpacking and camping trips under my belt, these excursions have always been weekend wanderings. So to go from that to 500+ nights is a bit of a jump, right? For this National Park Quest, we are attempting to camp as many nights as possible so we feel immersed in each park. As we explained in our recent post, camping will cost about $450 or less per month. The approach is a combination of camping in the National Parks and National Forests, and other private + free camp options. Your backyard would be super cool too. Get the right gear. We have the basics for weekend camping, but constant camping is another story. There are so many considerations and it can be overwhelming to dive in. One good place to start is with gear reviews from Gear Junkie. We’re also checking out the detailed reviews from the folks at Hiking Forward. Practice makes perfect. Get a routine down ahead of time will help out a lot. We’re even “camping” in our apartment to help prepare. Yes, you read that right. It might be a combination of excitement and craziness, but we’re actually sleeping in our tent…in our living room. We’re trying to master a set-up time and get into a routine before we actually hit the road. 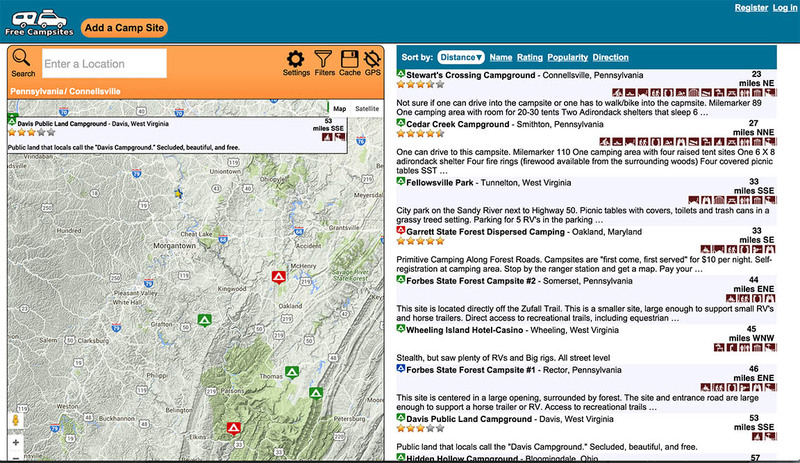 This app features over 14,000 campgrounds (RV sites) to make the search easy with filters to find public vs. private sites, public lands, etc. When challenged with something unfamiliar, you see your full potential. Unofficial step: Get in the right mindset. This quest is totally readjusting our lifestyle for the near foreseeable future, so we have to approach it with a mind open to the challenges ahead. There will be so much sand and dirt and rain and wind and lightning and biting bugs and snakes and other wild animals and sharp rocks and unexpected snowfall and cold nights and hot nights and dead ends and no beds and maybe even worse things… that’s how the challenges play out in my mind. This quest means stepping outside of the walls we know and jumping into the rawness of the unknown. That’s an intentional step. We could stay in our home and continue to create our work as we have, but where is the challenge in that? Where is the learning? As artists inspired by the National Parks idea, we know the journey ahead is the only way to develop meaningful work. That’s why we’re determined to camp 500+ nights, using those experiences to enrich the art we create and the conversations we have along the way. 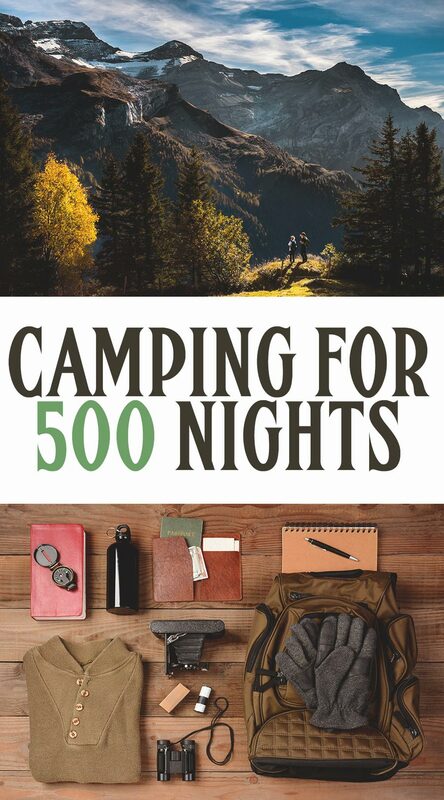 What would be your first step to camping 500+ nights?